Planning Research Corporation (PRC) Marine Systems Division, 1850 K Street N.W., International Square, Washington, D.C. 20006, will team with Morris Guralnick Associates, Inc. in a $500,000 project to provide planning and engineering s e r v i c e s f o r the U.S.
Navy's Service Life Extension Program (SLEP). SLEP is designed to extend the life of aircraft carriers built in the 1950s for an additional 15 years with no more maintenance or modernization than that provided by normal overhaul procedures. 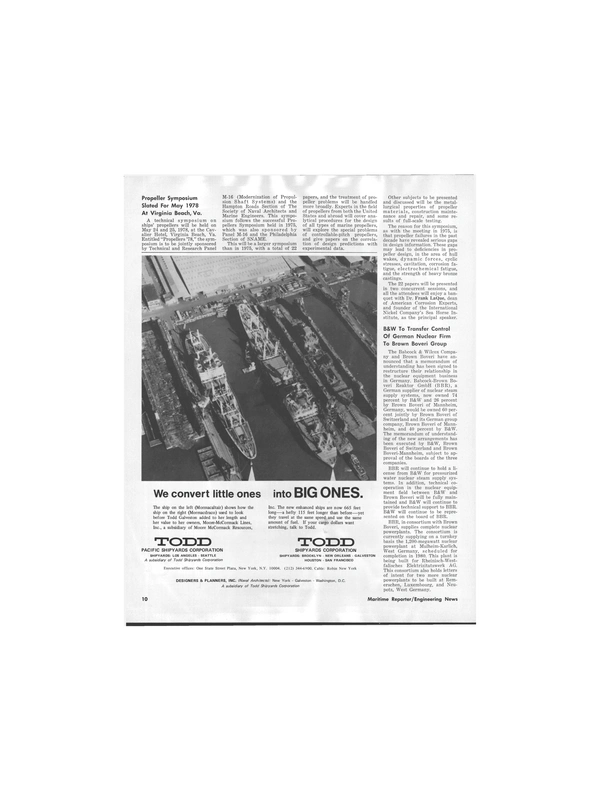 Marine Systems Division, part of Technical Applications, Inc., one of 19 PRC companies, and Morris Guralnick Associates, Inc., will plan repairs, modernization and alterations; develop new techniques and procedures; train crew members; and identify long-lead time material. The team will back up these tasks with across-the-board logistic support. Morris Guralnick Associates, Inc. is a naval architecture and marine engineering firm located in San Francisco, Calif.
Planning Research Corporation is the world's largest diversified professional services organization, serving government, business and industry, primarily in the areas of planning, engineering and architecture, information services and management consulting.